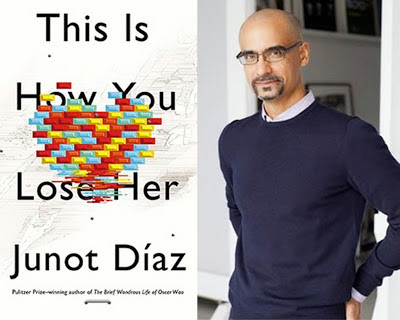 A few weeks ago, I finished This is How you Lose Her by Junot Diaz. I received the book as a Christmas present from my mother-in-law, and I read the first half in a day. (And then it took me about a month to finish the second half because I read it on the bus on the way to work and read it in small pieces.) The book is a collection of short stories, so it lends itself to this kind of reading. Almost all the stories are about men (or, more specifically, Diaz's recurring character, Yunior) who cheat. I enjoyed all of the stories and the way that they mix poignancy, sadness, and utter disregard for women (I mean I didn't like that, but I appreciated it...in the text.) The last story, though, is like a punch to the gut. 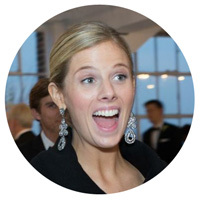 In "The Cheater's Guide to Love," after realizing that he's cheated on her with over fifty women, Yunior's fiancee leaves him. The story spans the five year aftermath of the break-up during which time Yunior tries to recover from this loss that devastates him (which, quite frankly, is rather surprising since it is hard to believe he had much time to cultivate a deep love given that he was concurrently courting a veritable harem of mistresses). I closed the book with this deep feeling of sadness for Yunior. Then I thought to myself, how the heck did he do that? How did Diaz get me to feel so bad for someone so bad? And that's his genius. 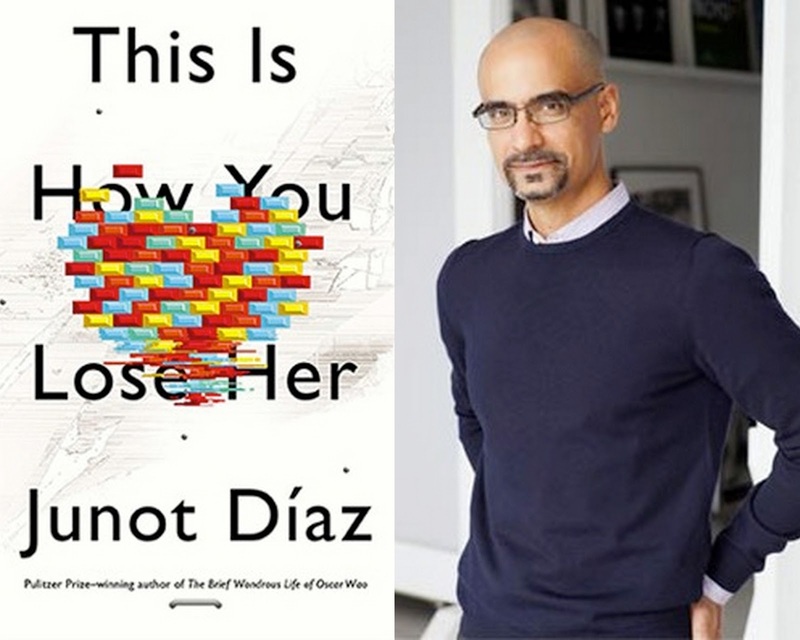 Perhaps the most touching moment of that story is when Yunior, who is a writer (and a professor at MIT who gets in trouble for swearing too much, and Dominican with father issues, and...everything that Diaz himself is) begins to write a book...(coincidence?). He writes the line, "The half-life of love is forever." Suddenly, Yunior, or Diaz, or whoever this guy is is not a cheater. He's a poet. So, if you're looking for a good read, I recommend this book that made me believe that perhaps even cheaters know a thing or two about love.